Hi, Coffee Loving Friends!!! It's time for the Winter Coffee Lovers Blog Hop!!! HOORAY! You can find all the details and start the hop HERE. I hope you thoroughly enjoy the hop!!! Be sure to comment along the way for your chances to win some fabulous prizes including one from the shop. If you feel like shopping and supporting the sponsors, you can use the code WARMUP10 for 10% off your order in my shop through Sunday, 12/10. Lastly, I have an open Design Team call up through the 22nd. You can find details HERE on how to apply if you're interested. Sending you a big cup of CHEER!!! Your card is super cute, way to alter that cup! That is so adorable. Great design for this hop. Thanks for being a super sponsor too. What a great card! Thanks for being a super sponsor !! Wow! Awesome! Thanks for being a super sponsor! 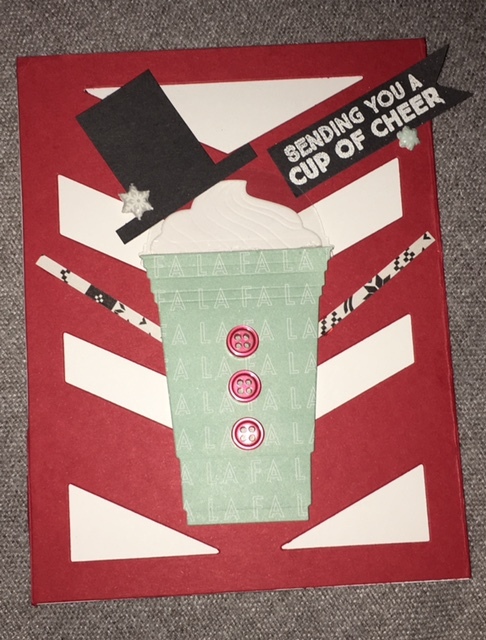 "Snowman in a Cup"...that is what I am thinking when I seeing you card. Thank you for being a sponsor an da winter hop. Love how the little hat and buttons turn him into a snow-cup-man. Thanks for being a super sponsor. Awesome card Vanessa! Happy to see you made time to craft!!! Fabulous card. Love that cup! So cute!! Thanks for being a super sponsor!! This is a really cute idea! Hats off to YOU! Thanks for being a super sponsor too! Love your card, so looks like a melting snowman! Thanks for being a sponsor.....such a fun hop! HaHaHa. I thought I was reading my own post, Vanessa! Everything you said I have to "ditto". Love the snowman to go cup card~really really cute! So cute and creative. I like the fun look. 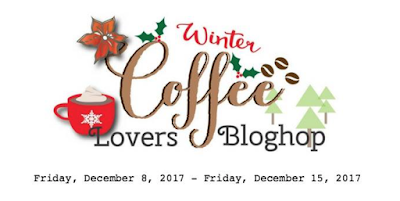 Thanks for sponsoring the Winter coffee lovers blog hop. what a cute idea!! thanks for sponsoring. What a fabulous card idea! 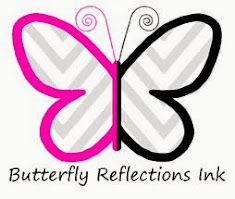 Appreciate your being a sponsor! Adorable card and awesome idea! Love it! Thanks so much for being a Super Sponsor again! beautiful card and love the peppermint colour. Thanks for being a super sponsor this year! Wishing you a wonderful holiday season! What a fun card and thanks for being such a wonderful sponsor for the hop. Very cute, Vanessa. Thanks so much for sponsoring! Oh I love your take on this card! I laughed out loud while I was reading through your description of the creating process. It turned out awesome in the end! Great card and I love the hat! So festive and fun! I think it's the cutest cup of cheer ever! LOVE IT! What an adorable design for your snowman in a go-cup!! Thanks for being a sponsor. Love the snowman hat on your cup of cheer. Very nice card. how fun to give it a snowman vibe! cute!! Thanks for being a super sponsor! Cute and clever snowman design. Minty fresh project you made! Thank you. Happy Holidays! Cute card. Love the colour palette. Thanks for the inspiration. Such a cute idea making the cup into a snowman! Love it!